Birthstones are gems that are associated with an individual's month of birth beginning with garnets for January and ending with turquoise for December. The list of monthly birthstones can differ slightly because the custom originates from various sources – from the Western European gem traders of the mid-1800s to much more ancient systems of assigning precious stones to the signs of the zodiac. In 1912, Jewelers of America defined a standard "modern" list of months and their corresponding birthstones and this is the list that is most commonly followed today. At first glance, diamonds would appear to be the most valuable birthstone, representing the month of April. Crystal clear or tinted with color, diamonds are imbued with deep meaning and associations of love, loyalty and fidelity. 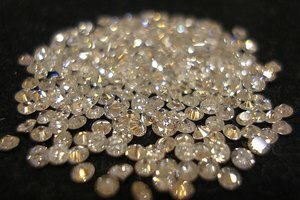 But their monetary worth depends entirely on the cut, number of carats and quality of the individual stone in question. Tiny diamond chips can be almost worthless, yet a single diamond's value at the upper end of the value spectrum can be millions of dollars. On average, emeralds, representing the month of May, are an even more valuable birthstone, as they are much more rare and worth more per carat – depending on many other qualities in an individual stone – than diamonds. Emeralds are also the traditional gift to mark 55 years of marriage. Ancient cultures valued the green stones for their magical qualities – emeralds have been found in the tombs of the Egyptian pharaohs, for example, where they were used in amulets to ward off evil. Rubies, beautiful blood red stones, are rarer still than either emeralds or diamonds. Although synthetic and manufactured composite rubies abound, a genuine, untreated and pure ruby of good size and flawless coloration is easily the most valuable birthstone in the bunch. It is also the most powerful in terms of mystical and folkloric associations. The deep color of a true ruby is suggestive of the heart, the bonds of blood and the life-giving mechanism of the circulatory system. 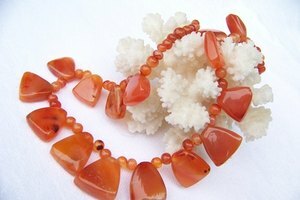 The stone traditionally is said to ward off evil and preserve life. Commercially less valuable than diamonds, emeralds or rubies, the gemstones associated with the other birth months can be worth more if they are especially large and perfect. Here is the remaining list of stones according to the "modern" interpretation of Jewelers of America: garnet for January, amethyst for February, aquamarine for March, pearl or moonstone for June, peridot for August, sapphire for September, opal or tourmaline for October, topaz or citrine for November and turquoise or blue topaz for December. 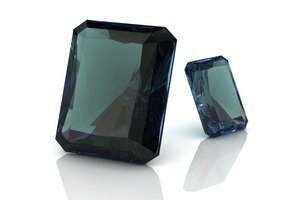 The value of gems is relative so the most valuable birth stone may actually be the largest and most perfect within the stones under consideration. A proper verification and appraisal is key to determining worth because many gems – especially the more precious diamonds, rubies and emeralds – may now be cultivated in laboratories. A cultivated stone is almost always less valuable than one that has been mined. The Gemological Institute of America offers a reliable verification service for diamonds, rubies and emeralds, as well as for pearls and other colored stones. Once you are sure that your birth stone is genuine and not synthetic or adulterated with chemical components, you can take it to a professional jeweler for appraisal. Only then will you know its true monetary value.